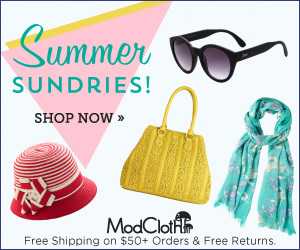 ModCloth ‘Tis the Season Sale – up to 50% off! It is time for the ModCloth ‘Tis The Season Sale today through 11/25 with huge savings! The ModCloth ‘Tis The Season Sale is an amazing sale including 100s of brand new stunning styles at 50% off! Now is the time to stock up on great styles for the holidays and beyond!